17 miles east of Cedarville along M-134. Large signs designate where to enter the road side park which is directly adjacent to M-134. Short paths lead to the water. Grassy areas allow one to walk between the large hardwoods and line of conifers near the shoreline where many birds can be found. 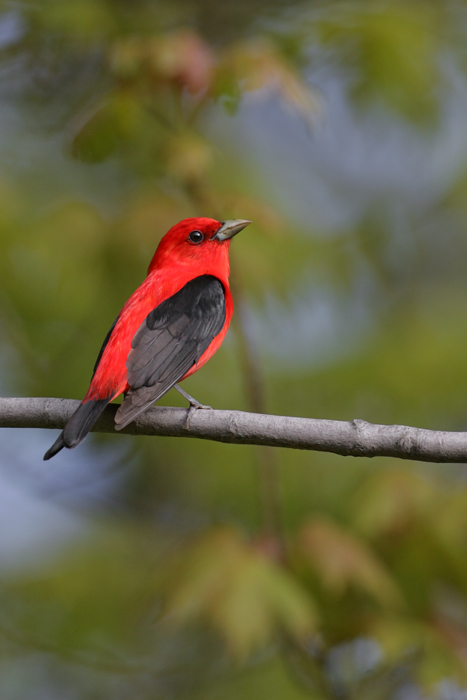 ​As soon as you step out of the car you will be greeted by the sound of singing warblers. Look up, and around without even walking and you will start to see them flitting in the trees. The second week of May through the first week of June is the best time to visit this incredible migrant hotspot. The short cedars and shrubs adjacent to the water can be literally dripping with warblers, vireos, sparrows, and orioles after a good south wind. The tall trees spaced throughout the picnic grounds are often filled with species such as Norther Parula, Blackburnian Warbler, and Scarlett Tanager. These large trees are also often a great place to see a large number of woodpeckers, including Pileated, Downy, Hairy, and Yellow-bellied Sapsucker. In the fall months, this is also a great place to stand on the shoreline and watch a large number of hawk species move along the coast as they migrate south. Without a doubt this is one of the easiest locations in the Eastern U.P. to see large numbers of migrant birds. ​As you walk along the shoreline of the North Huron area in the months of May and June you may notices swarms of very small bugs circling around your head. These bugs, known commonly as midges, are small insects that spend most of their life in a larvae stage in the shallows waters along the shores. In the spring and early summer these animals hatch from the water as adults and spend a few weeks on land before breeding and dying. While sometimes annoying these bugs pose no harm to humans (some adult midge species don’t even have mouths) and are an extremely important natural resource. You see, the exact same time that these midge are hatching and landing on the closest shrub or tree to shore, thousands upon thousands of migrant songbirds are landing on these same trees and shrubs after migrating north from Central and South America and crossing the Great Lakes. These birds, needless to say, are hungry and need to refuel before they finish their journey to their breeding grounds. Thankfully when they arrive the massive midge hatch has just taken place providing the birds a banquet that is literally coating the first plants that they land on. Numerous scientific studies have shown that these small bugs, and the habitat that they live in, are of critical importance to migratory bird species. 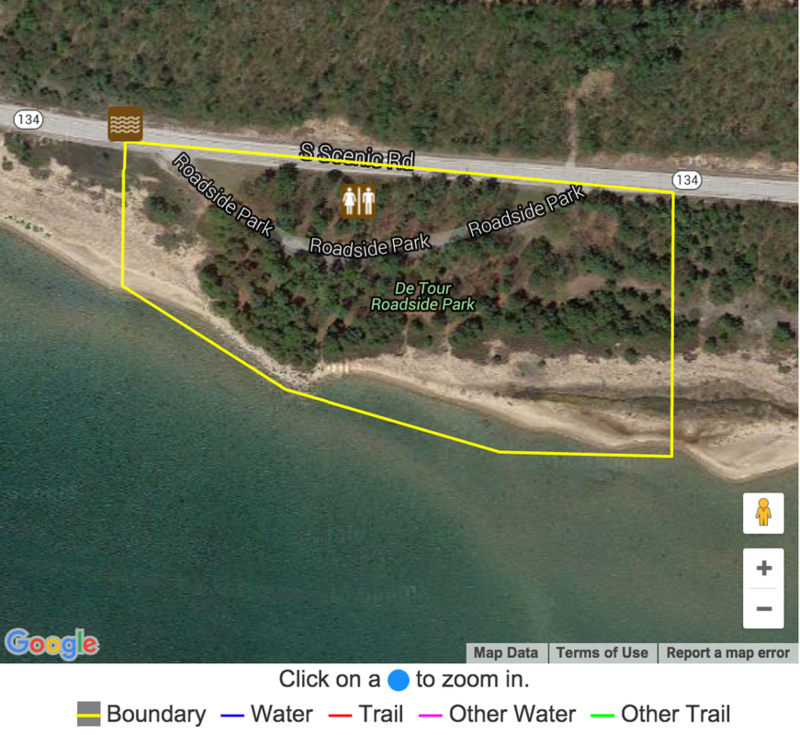 It is partially because of its importance as bird habitat that a large percentage of the shoreline between St. Ignace and Drummond Island is now protected through the work of a number of conservation organizations and private citizens.